Feel the highest amount of support and protection with these super plus, highest absorbency level biodegradable tampons. Stay relaxed knowing that what you’re putting in your body is made of pure, natural materials. The core was created using certified organic cotton, ensuring it was grown without artificial pesticides and is therefore paraben free. Know your being supported on a heavy flow, also can be used by those with sensitive skin. ICEA and soil association organic standard certification ensures companies carry out activities with respect to nature, people and consumers and ensure organic status from harvesting to manufacturing of products. 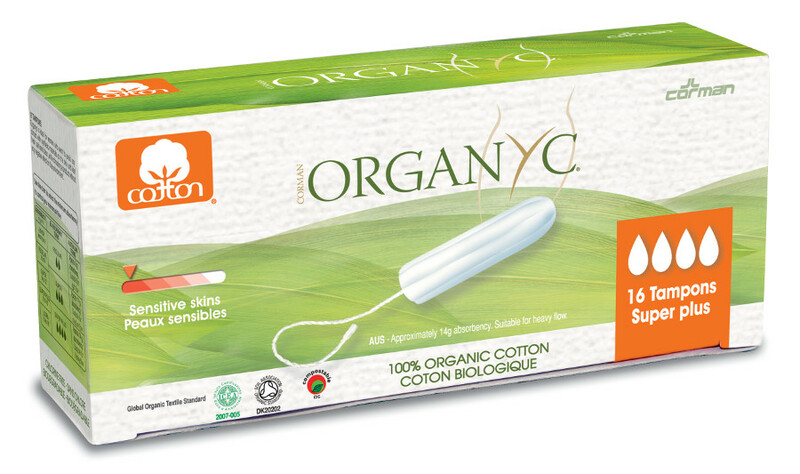 There are currently no questions to display about Organyc Super Plus Tampons - Pack of 16.